Evelyn Jean McHenry (nee Shackelford), 88, went home to be with the Lord on March 25, 2019. She was born August 25, 1930 in Gilmer County, WV to the late Andrew Shackelford and Oma Pearl Shackelford McHenry. 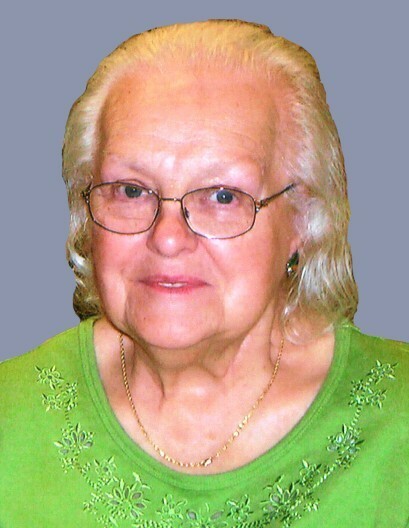 Evelyn was a member of the Church of Christ for over 63 years. She enjoyed reading, gardening, her church, the Cleveland Indians, and most of all she loved caring for her family. Evelyn was preceded in death by her husband whom she married on April 28, 1950, Ezra “Mac” McHenry; brother, Dana Gail Shackelford Sr.
She is survived by her children, Ron (Brenda) McHenry, Susan (Gary) Shellhorn and Paul (Michelle) McHenry; grandchildren, Jason, Joshua, Justin, David (Tiffany), Andrew and Patrick; and many other relatives and lifelong friends. Friends may call at Bacher Funeral Home, 3326 Manchester Rd., Akron, OH 44319 on Saturday, March 30, 2019 from 10 a.m. to 12 p.m., where services will be held at NOON. Pastor Robert Seymour officiating. Interment at Hillside Memorial Park.